Tonight I roasted some peppers and made Diane Kochilas’ Greek Feta & Red Pepper Dip. Chef Diane is an internationally-known cookbook author, food writer, culinary teacher and consultant. She has written 18 books on Greek and Mediterranean cuisine. 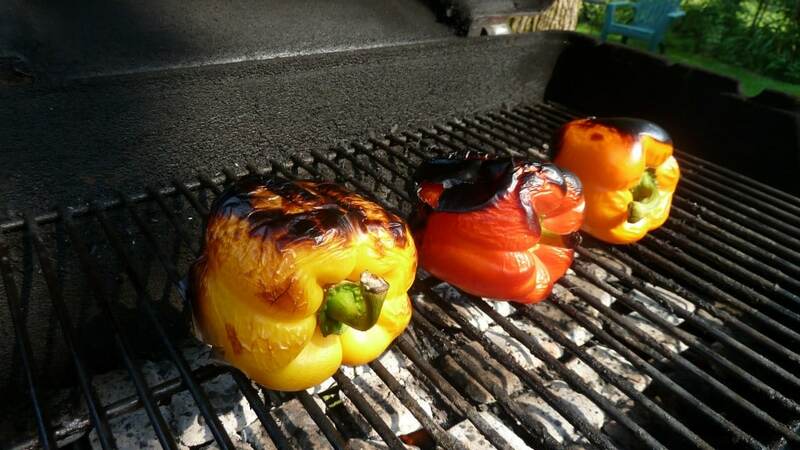 Roasting peppers is easy. I did it on my grill. Just let them get blackened on all sides. It will take several minutes on each side. 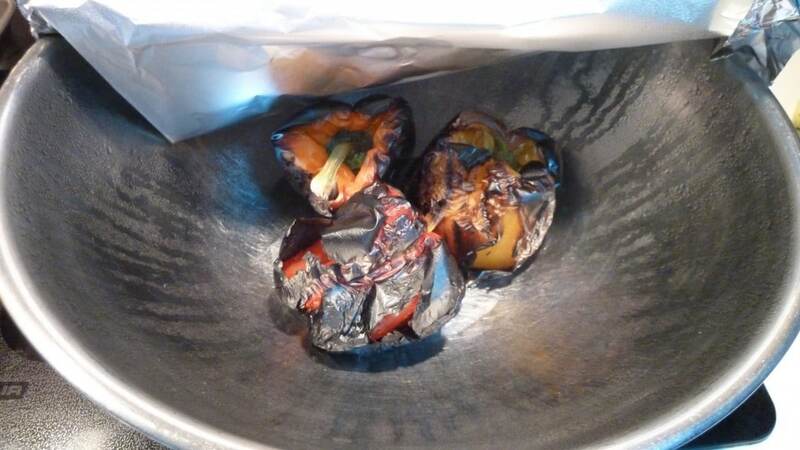 Once they are blackened put them in a bowl and cover them tightly with foil or cling wrap. 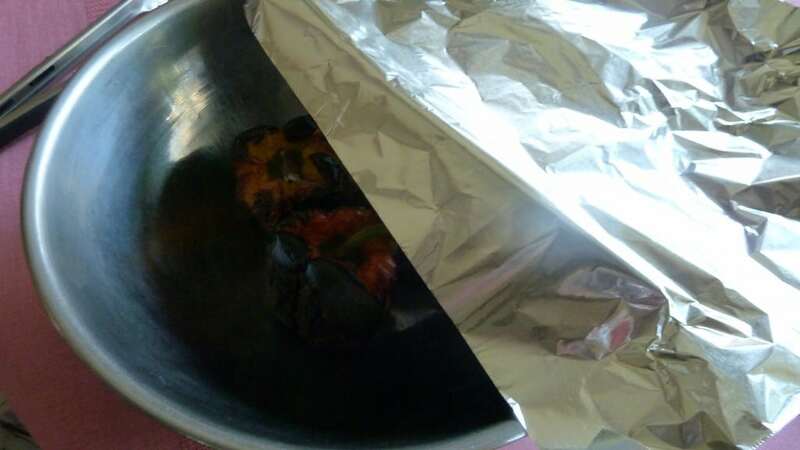 Let them sit in their steam for 5 – 10 minutes. While the peppers are steaming, get together the ingredients to be combined in a small food processor. 6 oz. 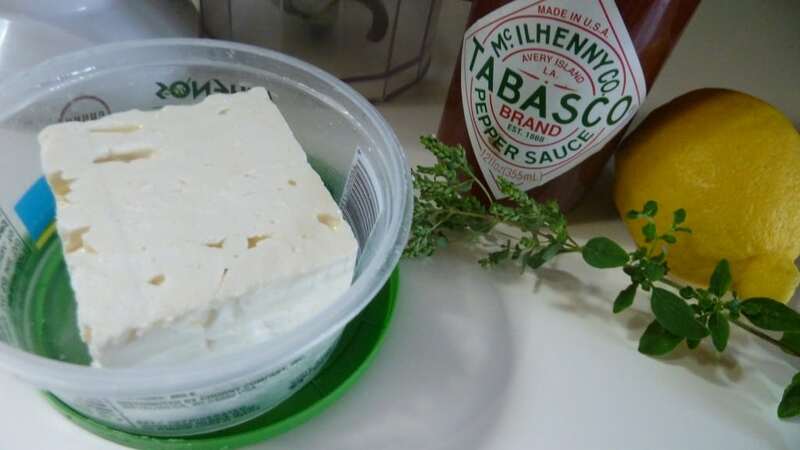 of feta, lemon, oregano, hot sauce and extra virgin olive oil. 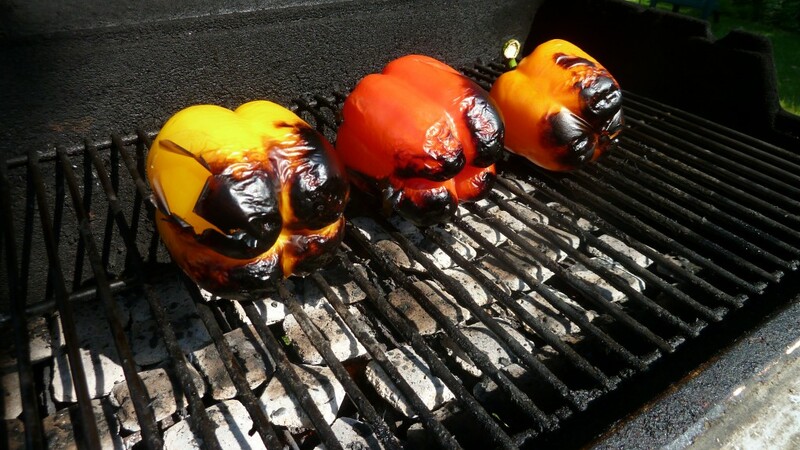 The peppers need to cool and then peel off the blackened skin. It should come off easily. 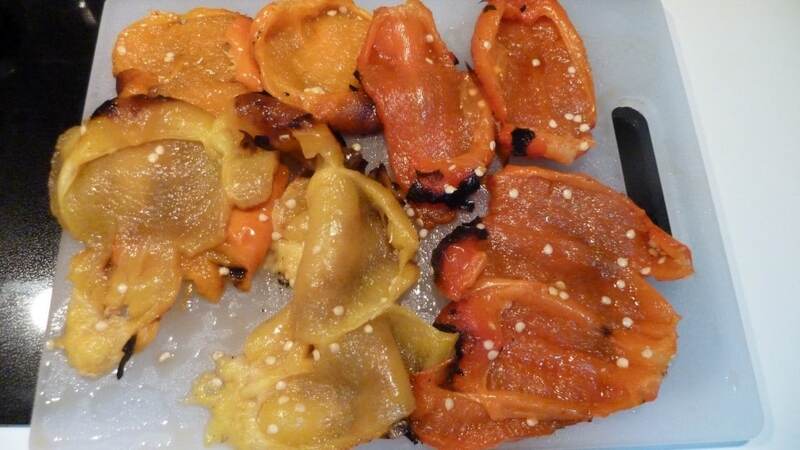 Slice the peppers so you can lay them flat and remove the seeds. 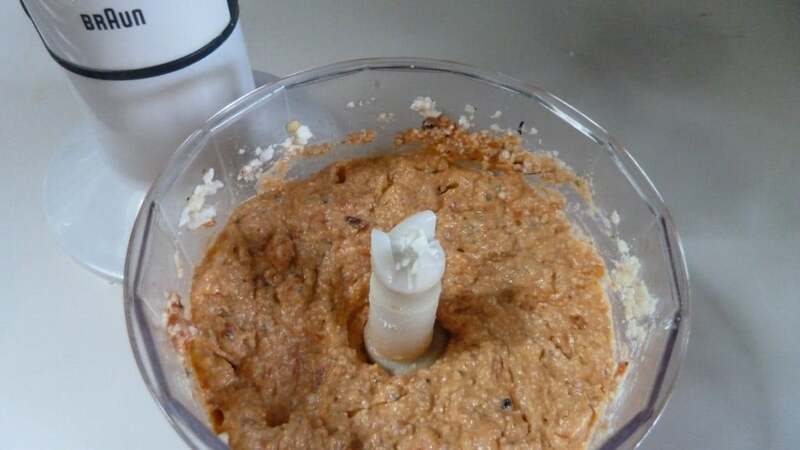 Blend the feta, 1 red pepper, lemon, oregano, hot sauce and extra virgin olive oil until smooth. 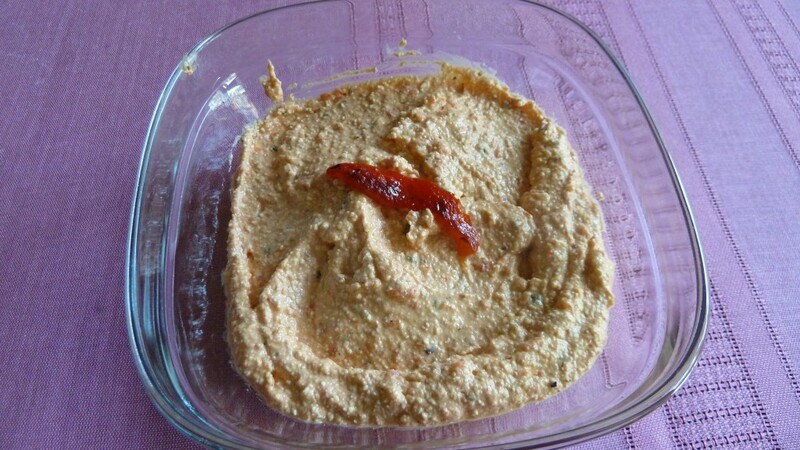 The dip is great with pita bread or pita chips. Let me know if you like it. 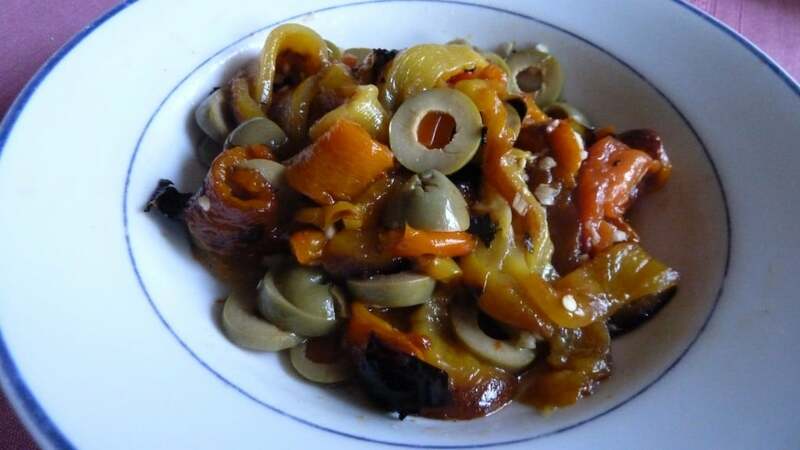 I also made a salad with the rest of the roasted peppers by slicing them in long strips and adding a minced large garlic clove, sliced large olives and extra virgin olive oil. Enjoy!